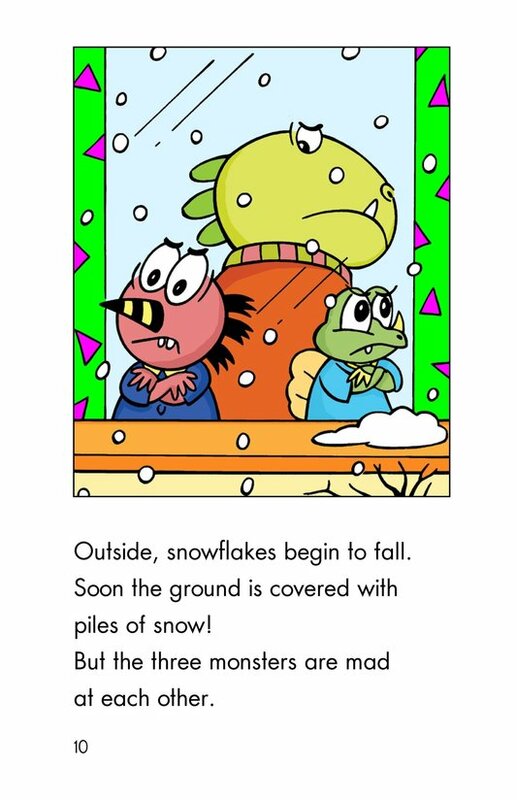 The Monsters are excited for a snowstorm to arrive. 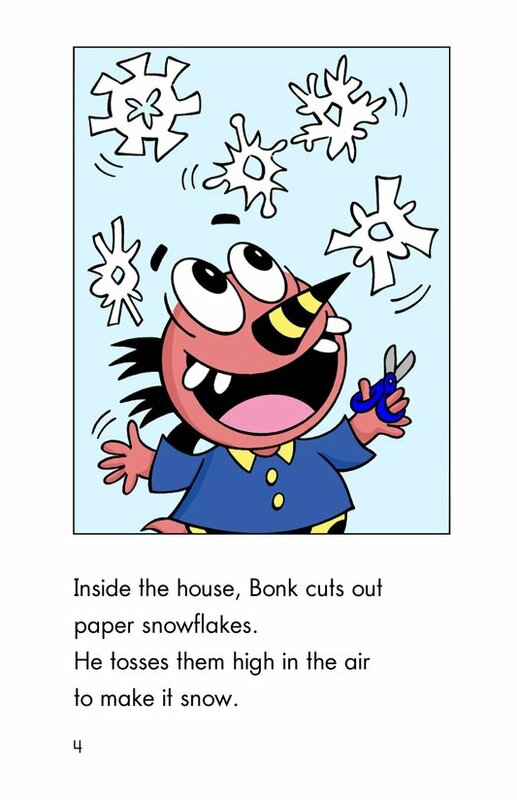 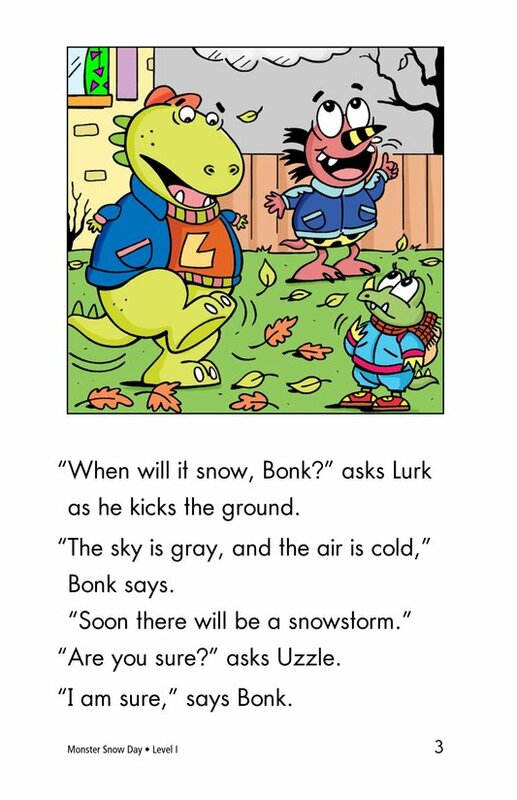 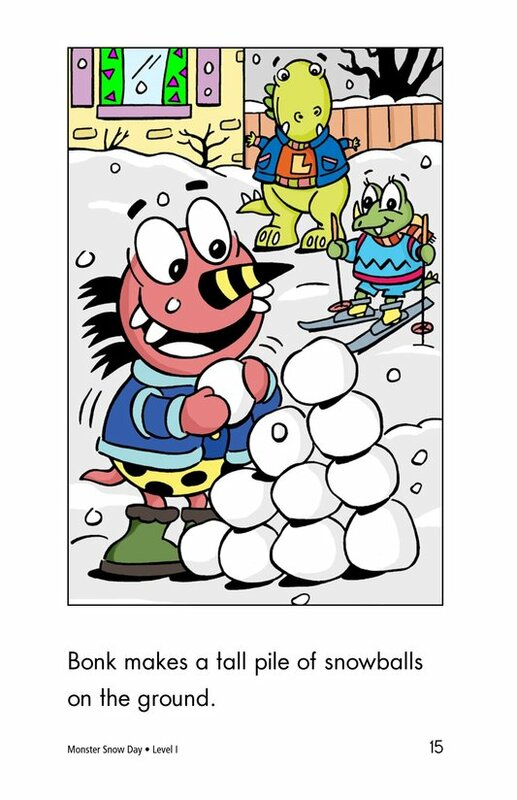 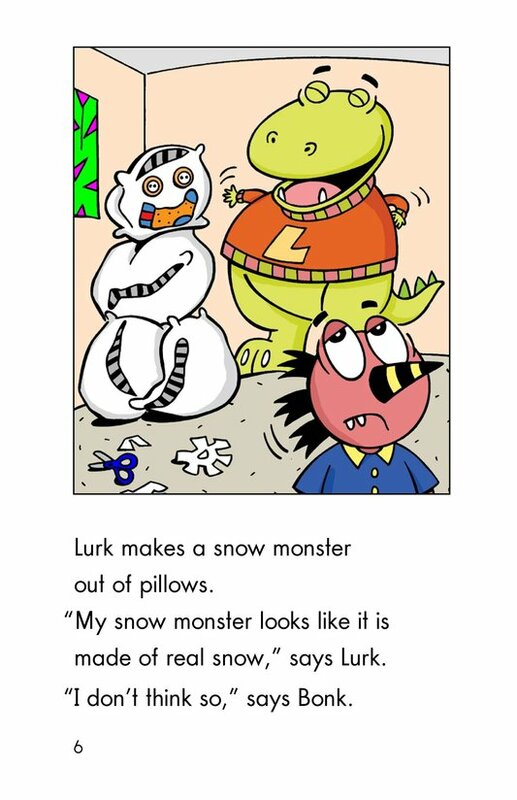 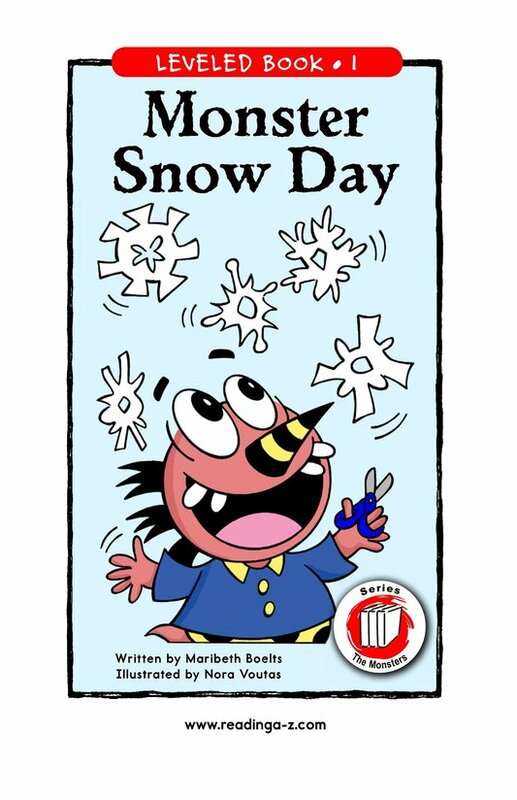 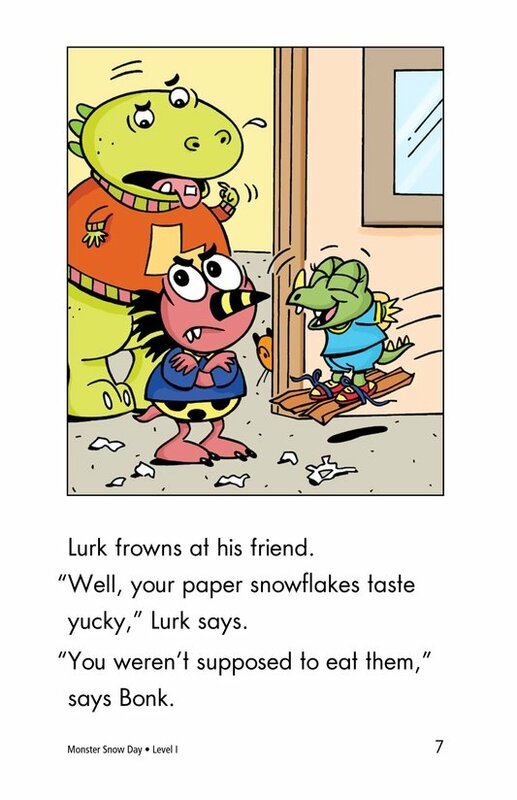 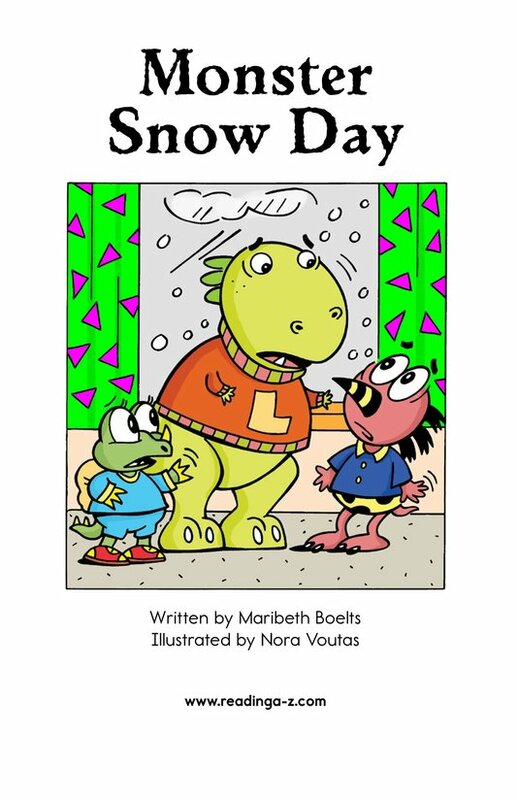 While they wait, Bonk makes paper snowflakes, Uzzle makes cardboard skis to ski down the hallway, and Lurk makes a snow monster out of pillows. 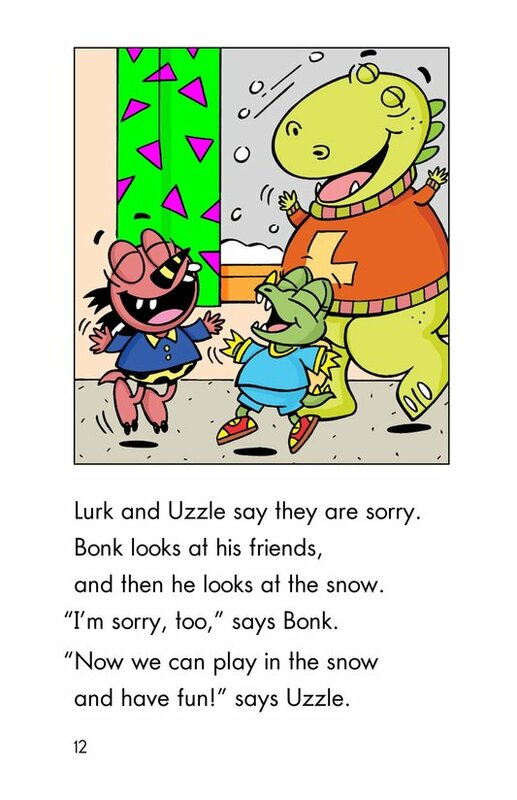 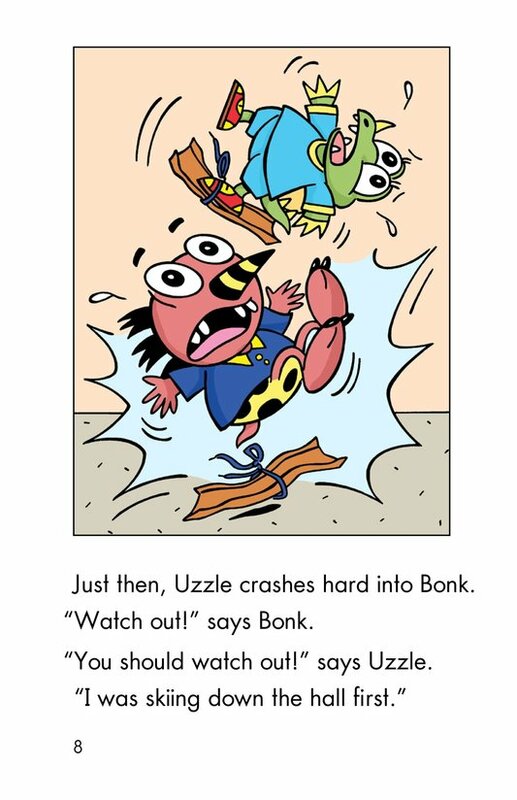 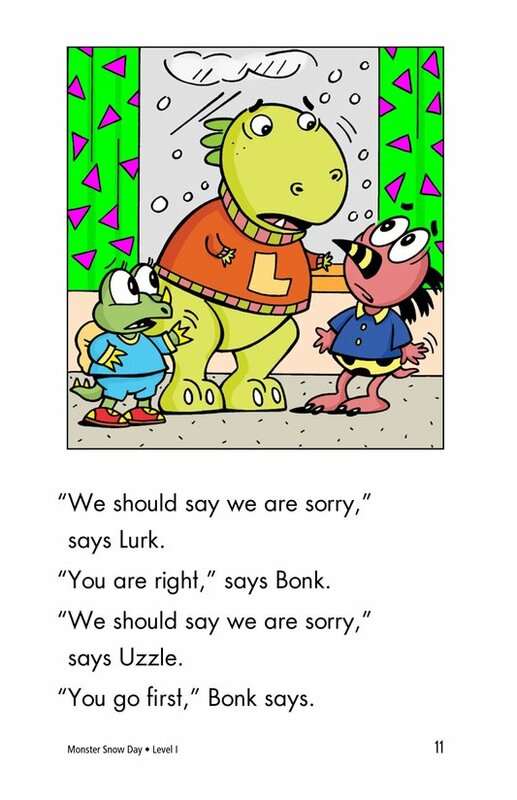 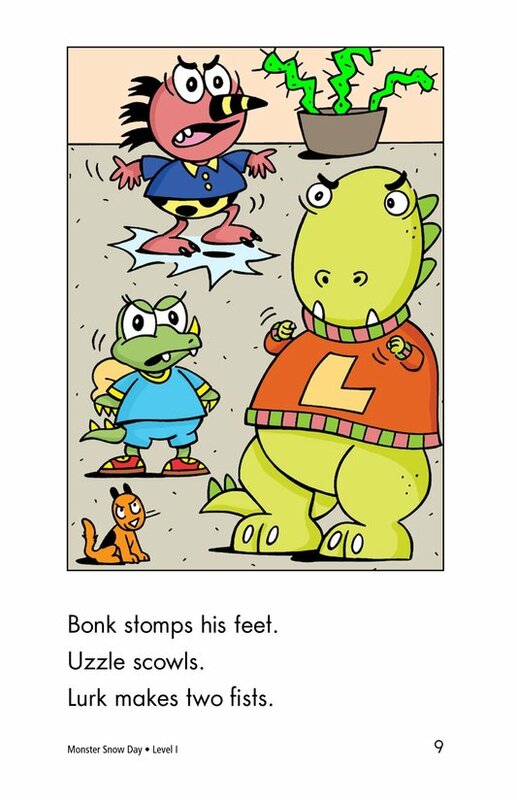 Tempers flare when Bonk insults Lurk and Uzzle crashes into all of them. 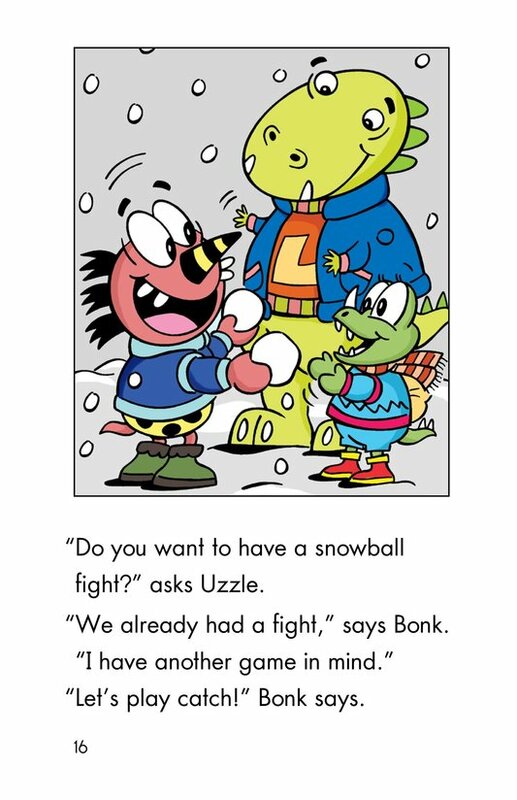 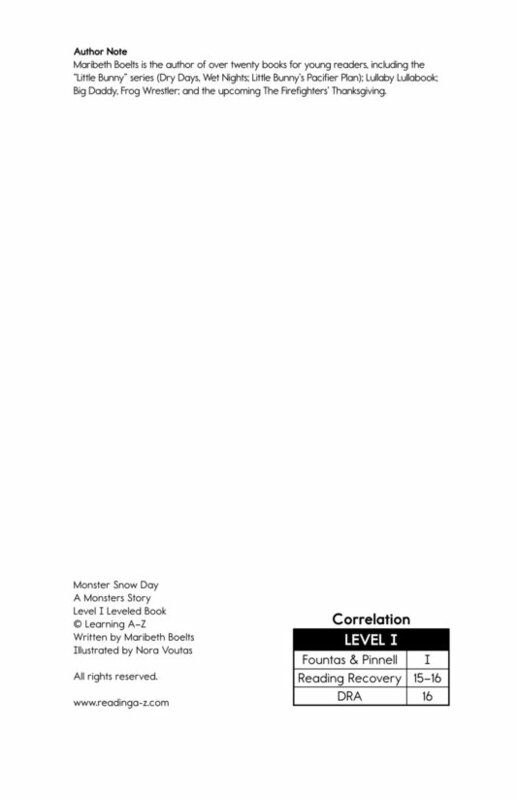 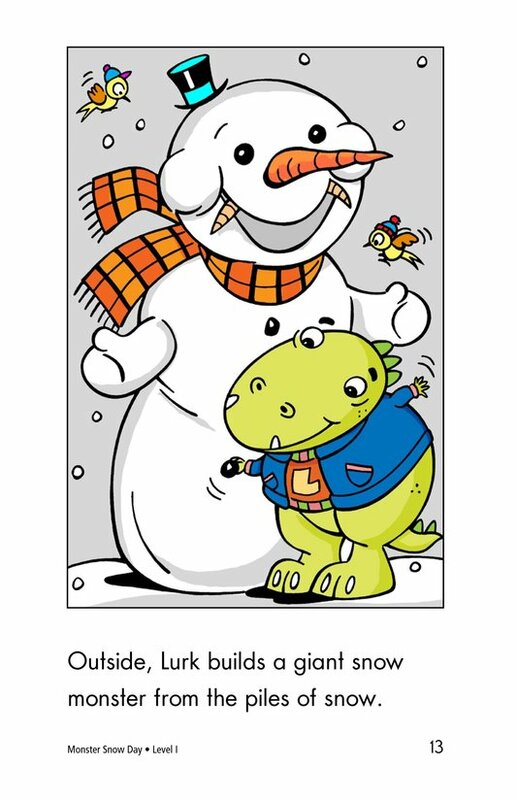 A fight is averted when the monsters notice the snow has arrived. 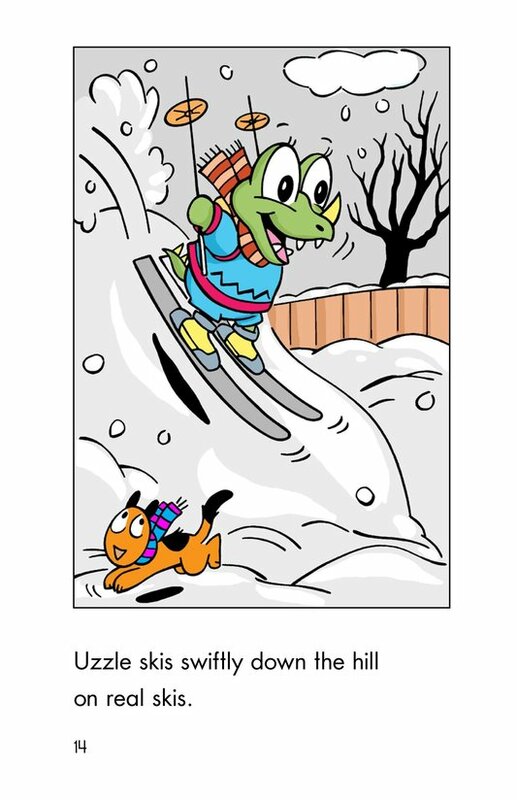 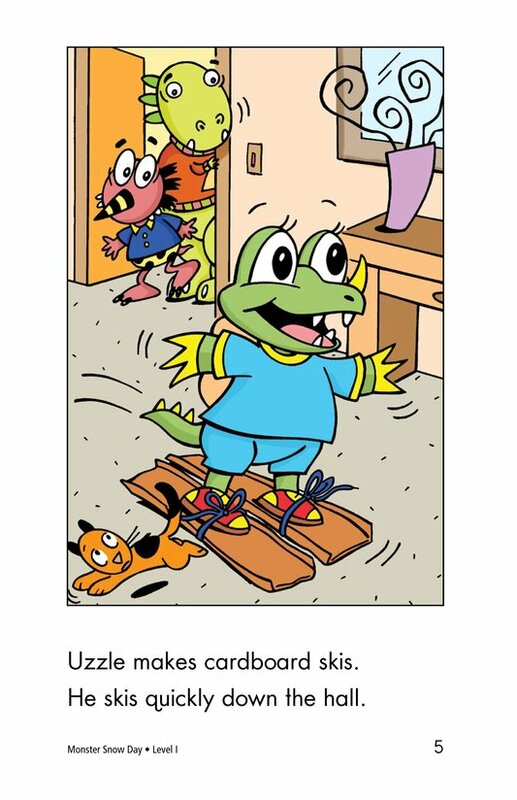 Pictures support the text and the identification of content vocabulary.